No matter the reason you are needing an eviction of a tenant in Homestead Florida, our eviction services work to protect your investment. You can be confident in Eviction Miami-Dade to provide results to handle all your tenant and property concerns. Is your tenant causing problem by paying the rent late, or violating terms laid out in the lease agreement? To solve your tenant issues, the best solution in all of Homestead FL is to obtain the right representation to handle these issues. Florida state law allows real estate professionals, as well as eviction attorneys to handle the various aspects of eviction services. Hiring a Homestead eviction attorney will provide you with a lot of relief throughout the entire eviction process. Not only will hiring an eviction attorney help you avoid some headaches, but it will also allow you to save some money in the long term. Understanding how existing laws can be applied to your individual situation is critical to being successful in evicting a tenant. Those that wish to evict a tenant in Florida should have basic knowledge on Florida real estate law, know how to deal with different kinds of tenants, and exactly how a tenant is evicted successfully. Making the wrong move can land you in a worse financial situation. Florida based real estate organization Realty WorldⓇ The M Realty Group has years of experience in handling evictions, managing properties, and all other aspects of Homestead FL real estate. Working our team of professionals at Realty World can give you the much needed confidence that you and your property are being taken care of by the best representation in the Homestead area. Our professional, competent, and friendly staff, as well as our in-house attorneys, are devoted and available to you in any situation that may arise. Realty World’s entire team will work diligently to get you your property back, or the money you deserve, in shortest possible time. Do you require assistance in evicting a tenant in Homestead, Florida? Realty WorldⓇ The M Realty Group understand the legal issues that can play a role in evicting a tenant. After years of experience in performing successful evictions, we’ve dealt with every kind of tenant imaginable. Whether you want the tenant to start paying on time, or you want them out of your property entirely, we know how to get the job done properly. We provide your tenant with the eviction notice – whether that’s a 3 Day Notice To Pay or Quit or a 3 Day Notice To Vacate. Once the tenant receives a notice from professionals, and not just the nice-guy landlord, the tenant will that they are not going to get away with delays and other tactics to not pay rent. This will help the tenant to make a choice: Get evicted, pay the rent, or move out. Unfortunately, not all tenants will cooperate with you. Some tenants can be stubborn, and will not want to leave the property under any circumstances; That’s where Realty WorldⓇ The M Realty Group comes in. We understand both real estate law, and how to successfully evict a tenant from a property. When it comes to performing an eviction, the Florida court system provides precise instructions on how exactly an eviction should be carried out. If any of the eviction process is executed incorrectly, then the property owner can find themselves owing money instead of getting paid or the house back. 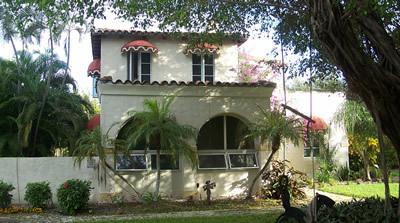 To avoid these troubles let group of agents and attorneys handle your eviction in Homestead. 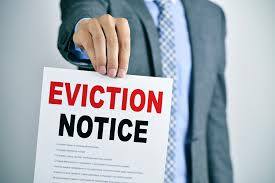 Realty WorldⓇ The M Realty Group will send the eviction notice to your tenant for you. It’s our goal to get the tenant out of your property correctly according to the laws of the state of Florida. We can also help you demand payment from your tenant, opposed to removing the tenant from the property. 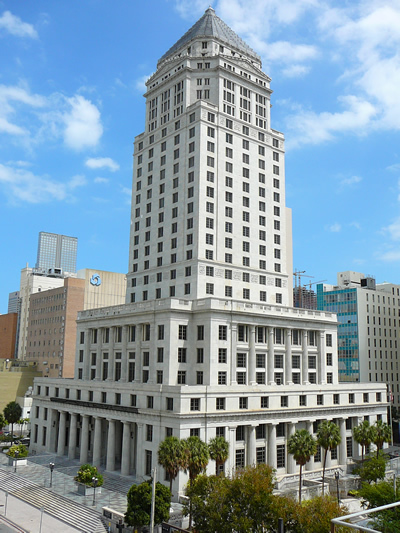 In the Florida court system, the landlord must pay the tenant’s legal fees if the tenant is not successfully evicted. Realty WorldⓇ The M Realty Group will help you make sure that everything you need to win the case is in order and complete before stepping foot into a courtroom. Not only will losing an eviction case force you to begin the entire eviction process from the start, but it’ll cost you more money in the time that you won’t be receiving rent payments. Our team will correctly execute the eviction of a tenant to get you the money you’re owed, or return to you control of your investment. When a tenant doesn’t pay the rent, or they violate terms laid out in the lease agreement, then the law is on your side. The issue comes about in properly using that law to your advantage. If the eviction is not executed properly, then it could cost you lots of money when it’s all over. Realty WorldⓇ The M Realty Group is here to help you evict a tenant that lives in a Homestead, FL property. Eviction Miami Dade will work hard for you to protect your investment.